MI5 believes the possibility of a dissident republican attack in Britain is more likely and has increased the threat level from moderate to substantial. 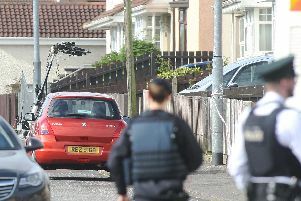 The Security Service believes a terrorist attack is a strong possibility, reflecting the continuing threat from dissident republican activity. Home Secretary Theresa May said: “The main focus of violent dissident republican activity continues to be in Northern Ireland where they have targeted the brave police and prison officers who serve their communities day in and day out. “The reality is that they command little support. They do not represent the views or wishes of the vast majority of people, both in Northern Ireland and the Republic of Ireland, who decisively expressed their desire for peace in the 1998 Belfast Agreement and have been transforming Northern Ireland ever since. “However it is sensible, given their stated aims, that the public in Great Britain should also remain vigilant and report any suspicious activity to the police. The Home Office said that as a result of this change, it is working closely with the police and other relevant authorities to ensure appropriate security measures are in place. It says there is still more likely to be an attack by ‘international terrorists’ in Britain than by dissident republican terrorists. The threat level is lower than the Northern Ireland-related terrorism threat in Northern Ireland and the international terrorism threat to the UK as a whole. Both of these remain unchanged at severe which means attacks are highly likely, a statement by the Home Office confirmed.